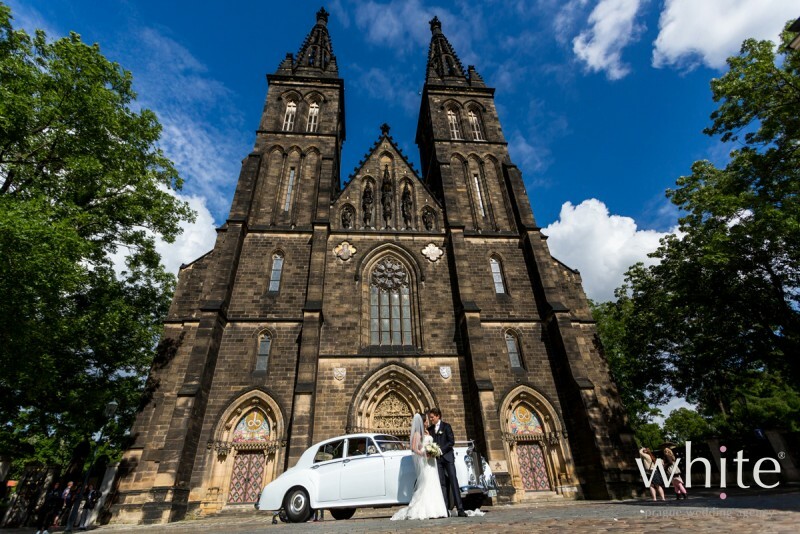 We have a special relationship to Basilica of St. Peter & Paul and surrounding park Vysehrad. 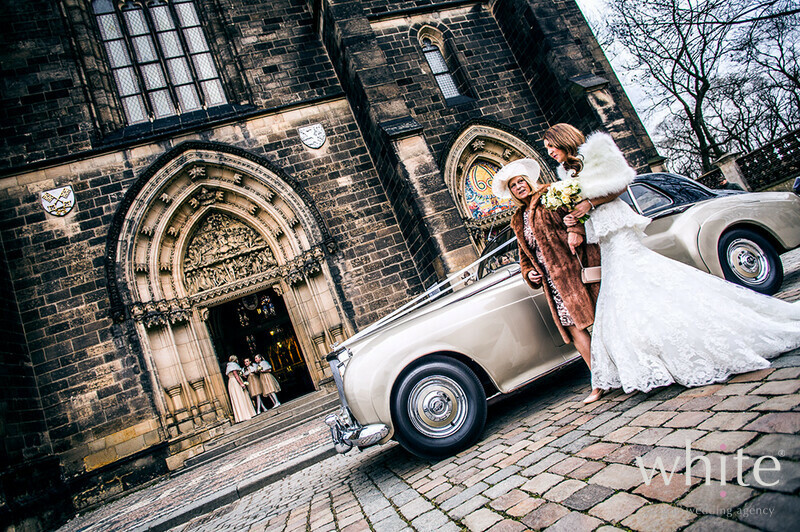 We even call it our church :-). 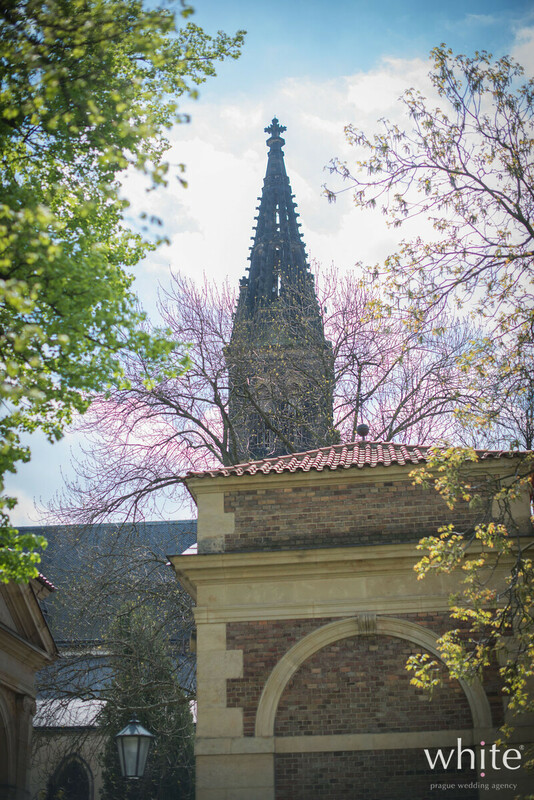 Our office is located right bellow the Vysehrad hill and we often go for walks, runs or picnics there. 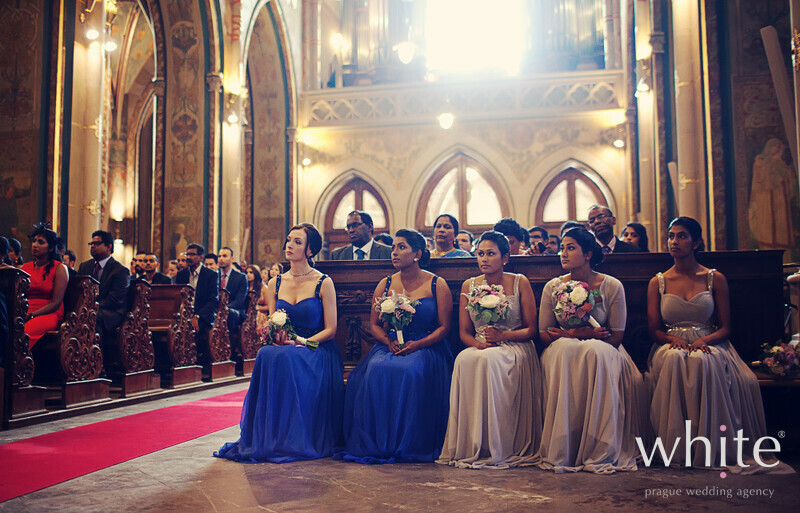 But most of all, we love to organize weddings there. 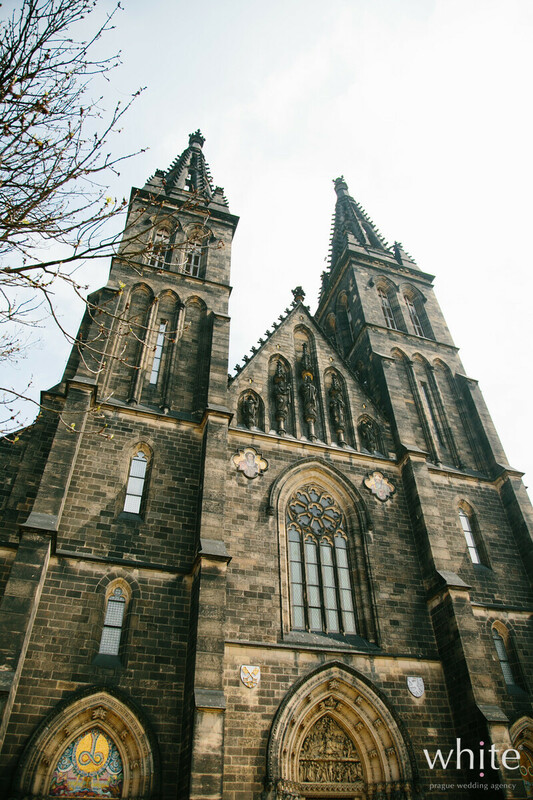 Basilica of St. Peter & Paul is with no doubt one of the most majestic Catholic churches in Prague. 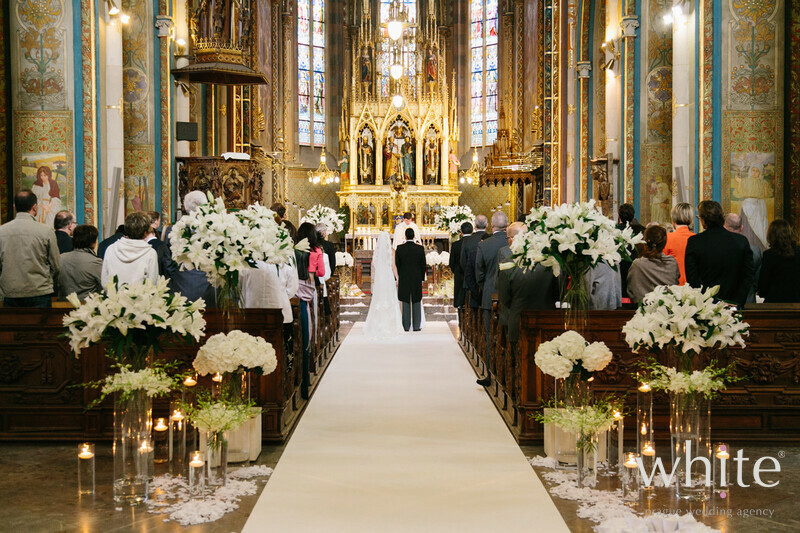 It can seat around 100 guests and it‘s suitable for even bigger weddings. 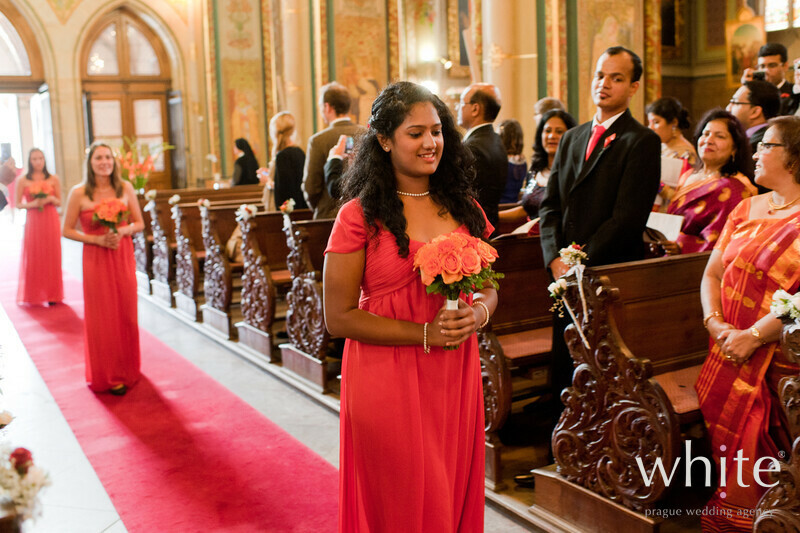 We love the little square in front of the church where guests meet before the ceremony and where it‘s even possible to arrange a cocktail after the ceremony. 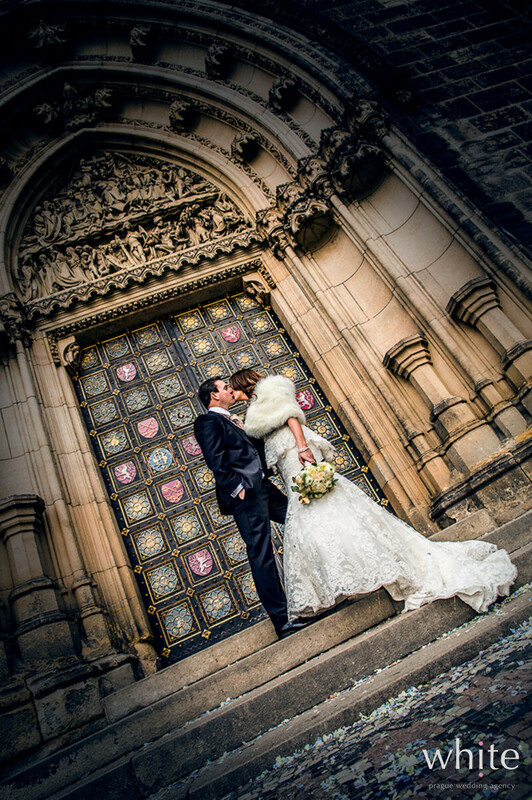 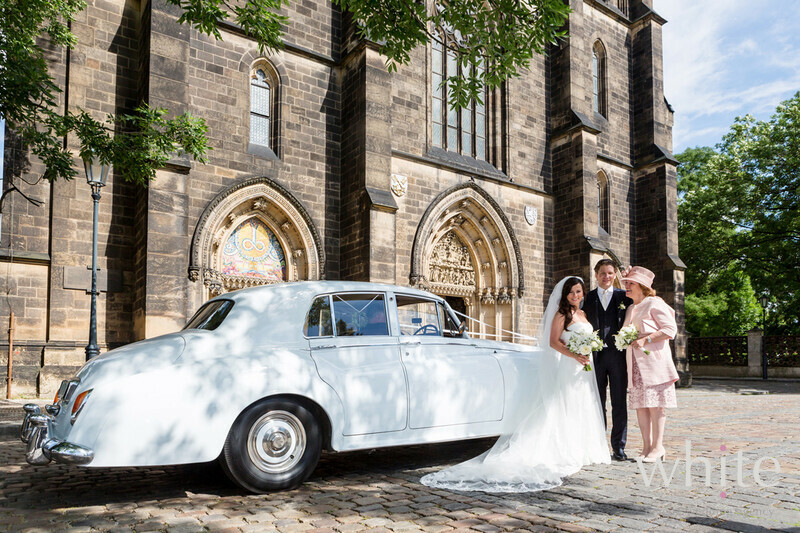 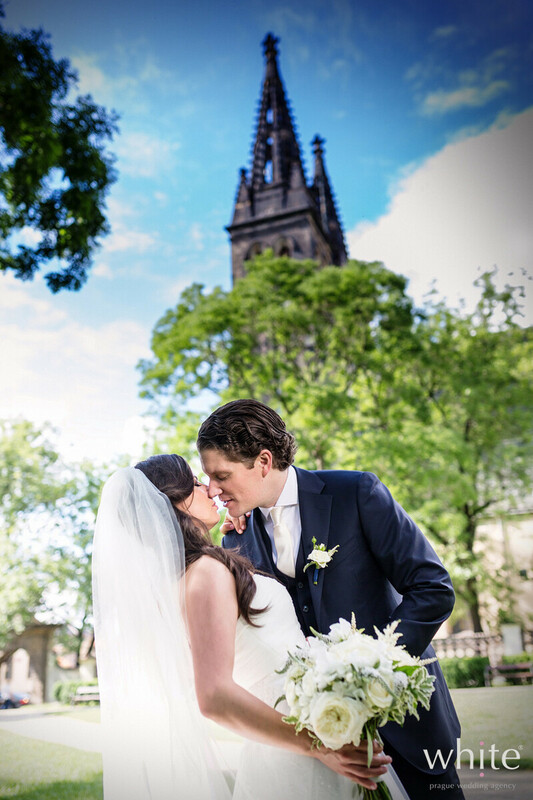 However for more privacy we recommend arranging after ceremony cocktails in one of the lovely corners of the Vysehrad park or in a garden restaurant located right opposite the church. 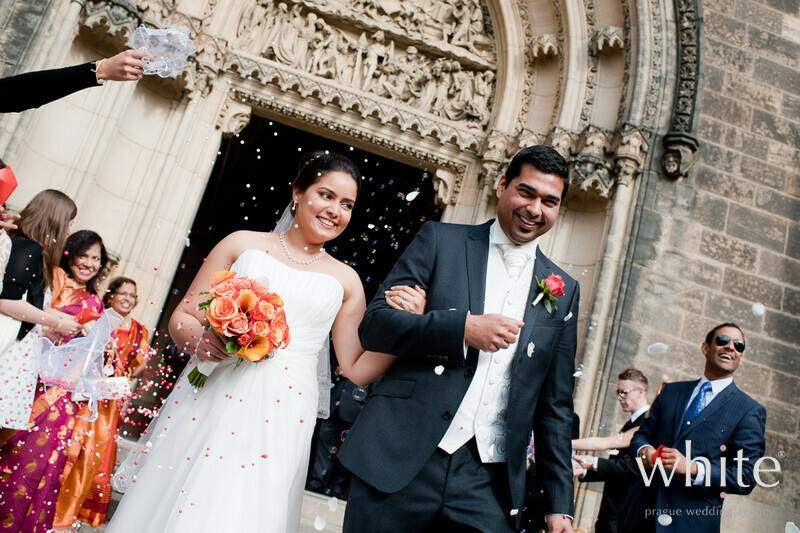 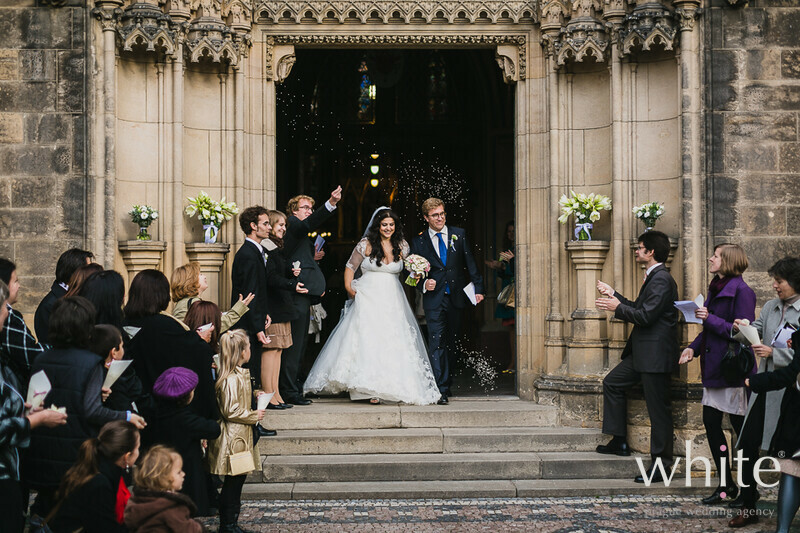 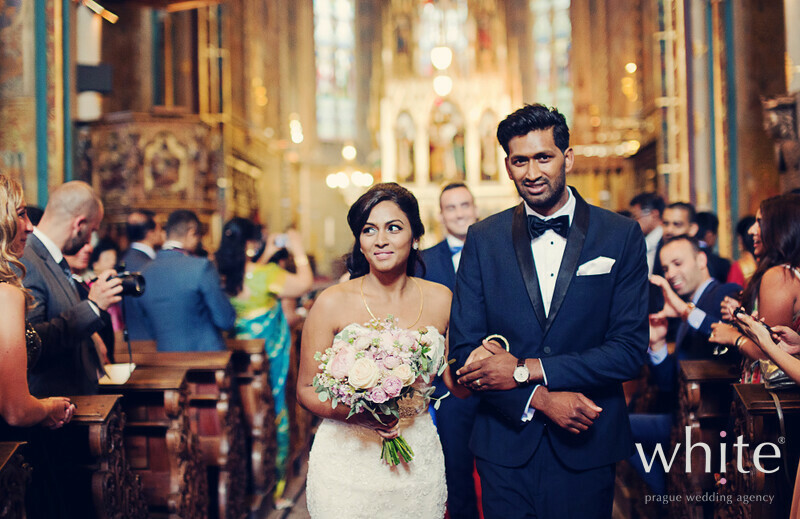 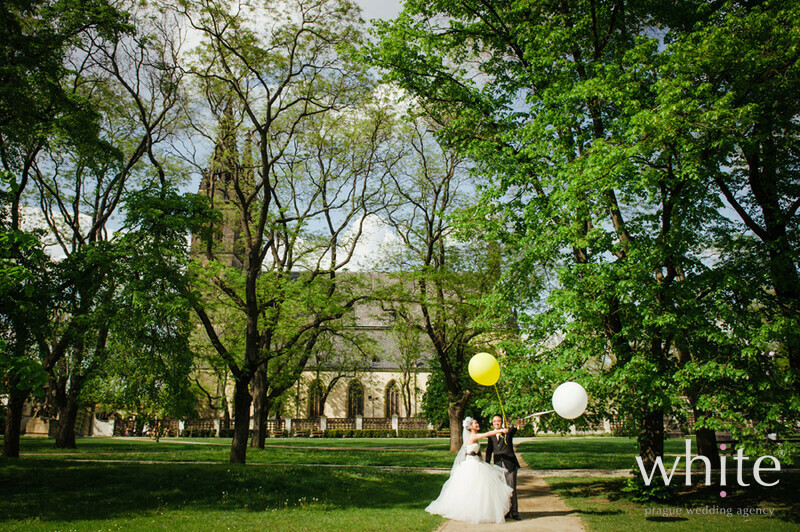 Since Vysehrad is located on a hill, the views from the park are beautiful and it serves a perfect backdrop for your wedding photoshoot. 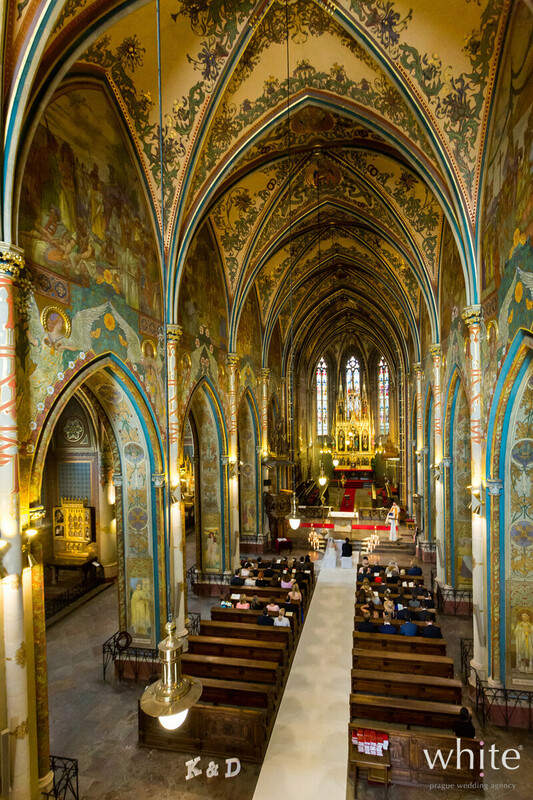 Although the Basilica is not located right in the city centre, it‘s still easy to be reached by minibuses from hotels in town. 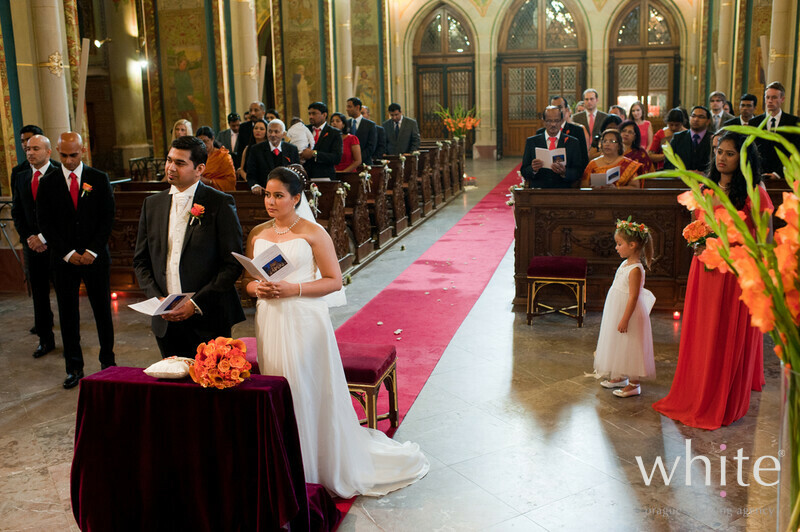 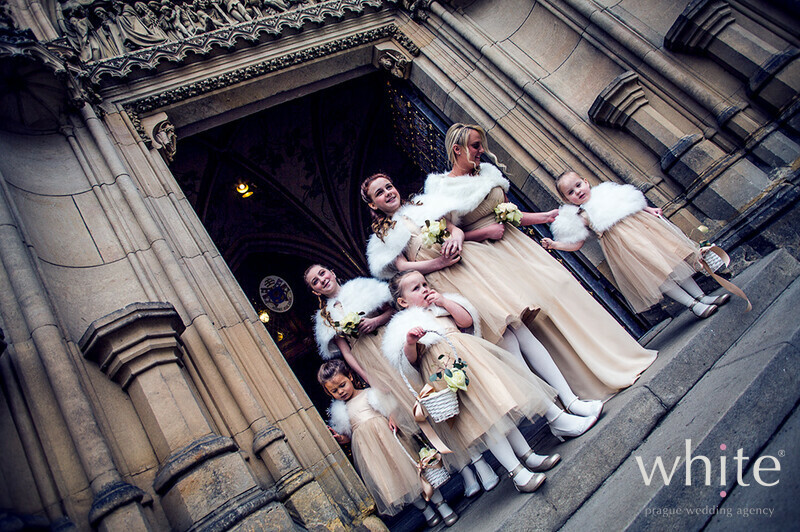 The church provides beautiful red carpet for ceremonies, however we can also arrange white carpets that look absolutely outstanding. 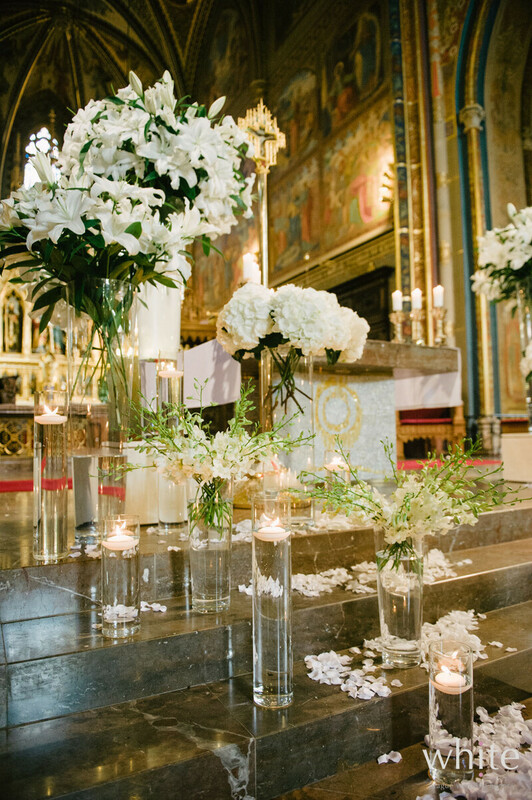 Flower decorations are not just allowed, but supported - how beautiful tons of white flowers and candles look in the church.. 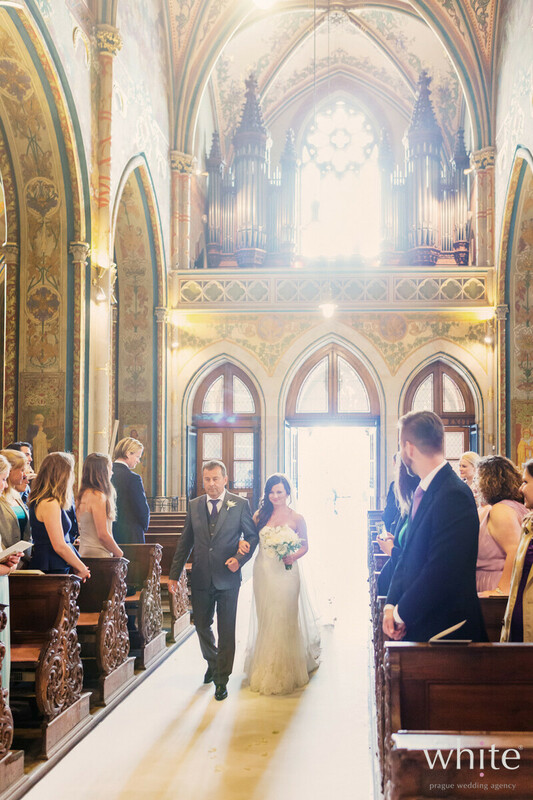 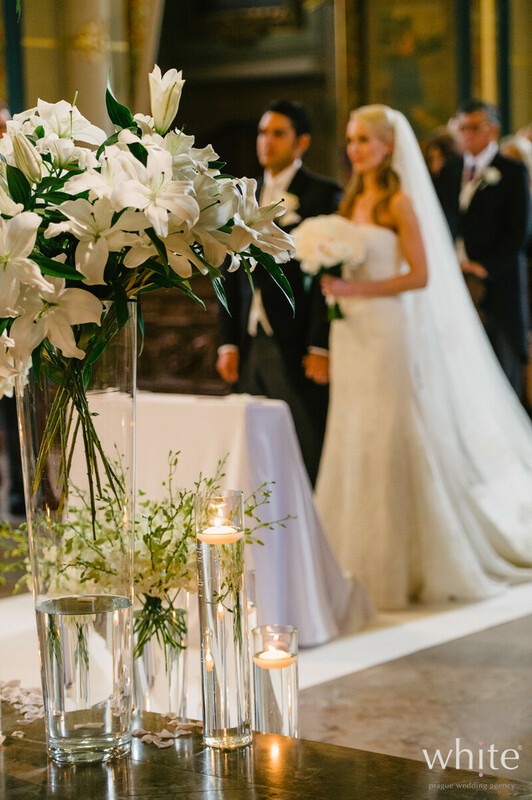 Your ceremony can be accompanied by the sounds of live organs and if you want something really powerful, we recommend a church gospel or opera singer. 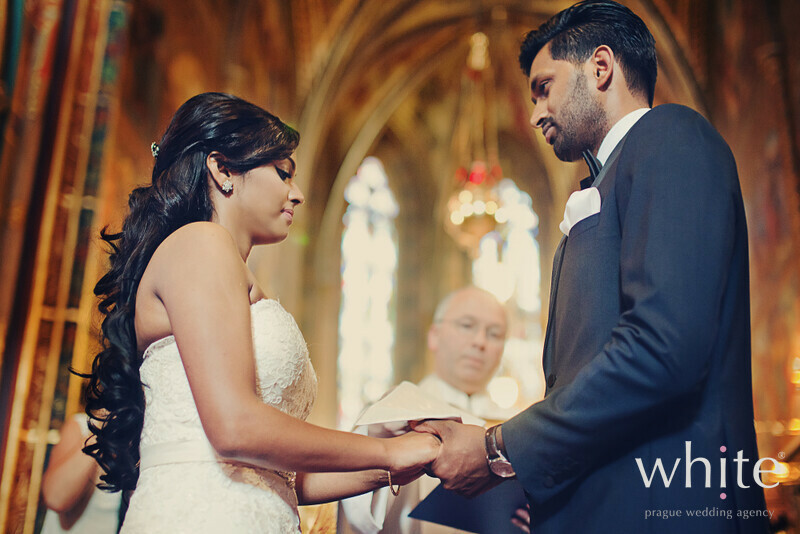 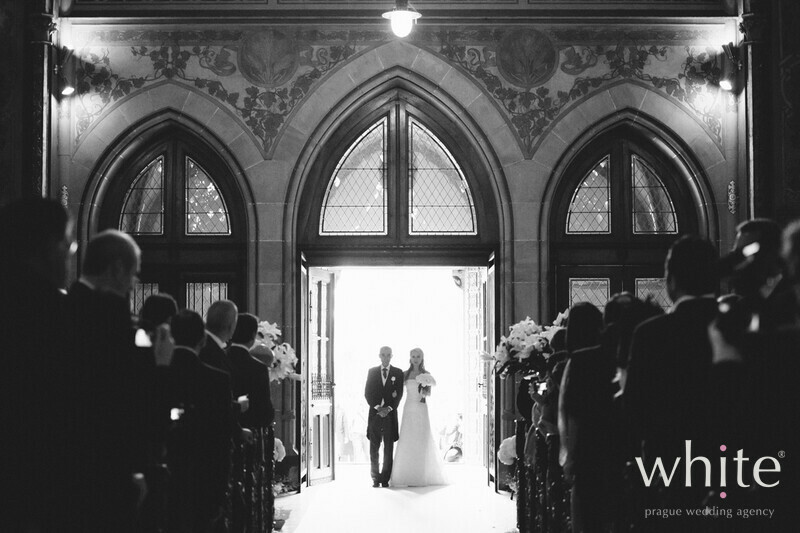 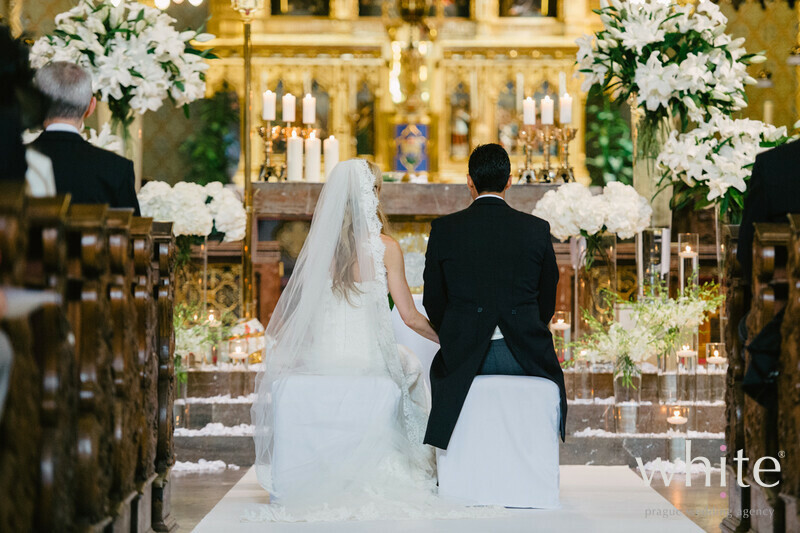 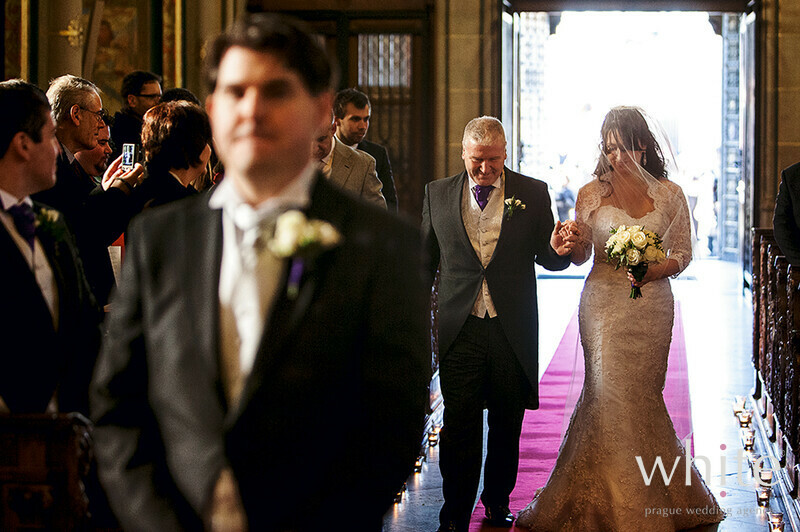 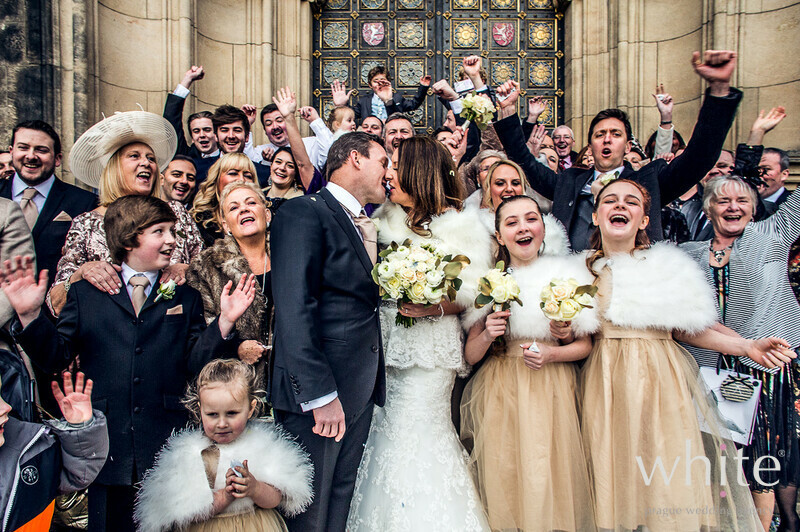 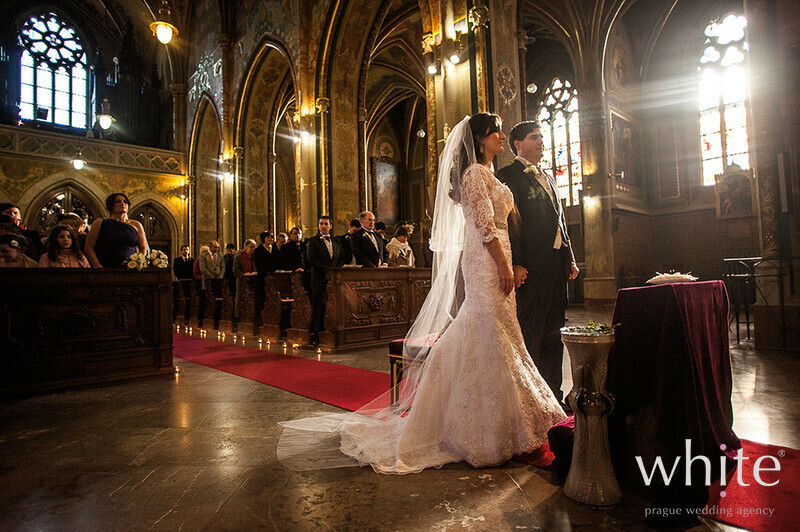 Basilica of St. Peter & Paul is a place for a true princess wedding.